A mother has been banned from naming her baby Cyanide after the poison. The woman, from Powys, Wales, also chose the name Preacher for the girl's twin brother, saying she had a human right to name her own children. 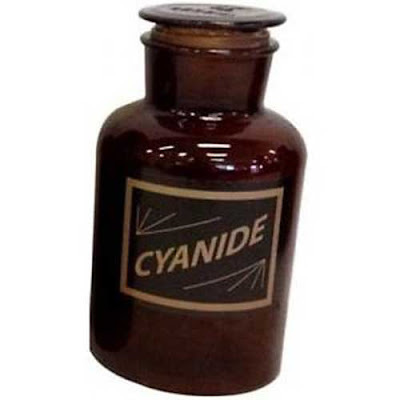 She said Cyanide was a "lovely, pretty name" with positive connotations as it was taken by Hitler before he shot himself. The Court of Appeal ruled the "unusual" choices might harm the children. The infant twins, as well as the mother's other children, have been taken from her care. When Powys council social workers learnt of the names the mother had chosen for the twins, they took the case to court. In June, a judge issued an injunction against the mother, forbidding her from formally registering the twins' forenames. Lawyers appealed, claiming a violation of the woman's right to respect for family life. But Lady Justice King said naming a little girl after a "notorious poison" was simply unacceptable. Although there was nothing seriously objectionable about the name Preacher, she ruled both twins' names should be chosen by their older half-siblings. Lady Justice King said "even allowing for changes in taste, fashion and developing individual perception", Cyanide was a very odd name to give to a baby girl. The mother said Cyanide was linked with flowers and plants and was "responsible for killing Hitler and Goebbels and I consider that this was a good thing". Lady Justice King said the courts would intervene to prevent a parent naming a child "in only the most extreme cases". "I named my son Orson." "Well, that's a nice, traditional name." "I thought so. It's his nickname." "Yup. His full name is Orsonic." When my wife and I were choosing names for potential daughters, she decided on "Daphne" for the first one, and I chose "Serendipity" for the second. I told her it's not exactly a name, but it is a beautiful word with a beautiful meaning of fortuitous discovery.